Yesterday, the dynamics of oil prices was negative but at the end of the daily session, the instrument was corrected. The quotes are under pressure of the growth of drilling activity in the United States, reflected in Baker Hughes report at the end of the last trading week. In addition, the course is negatively affected by the process of trade negotiations between the United States and China, despite the preliminary agreements reached on the date of the official meeting of the countries’ heads. If they fail to agree, Washington will raise tariffs for Chinese goods on March 1. Similar responses will be taken by China, which will worsen the situation. Today, the investors are focused on API Weekly Crude Oil Stocks release: in the previous period, the figure rose by 2.514 million barrels. 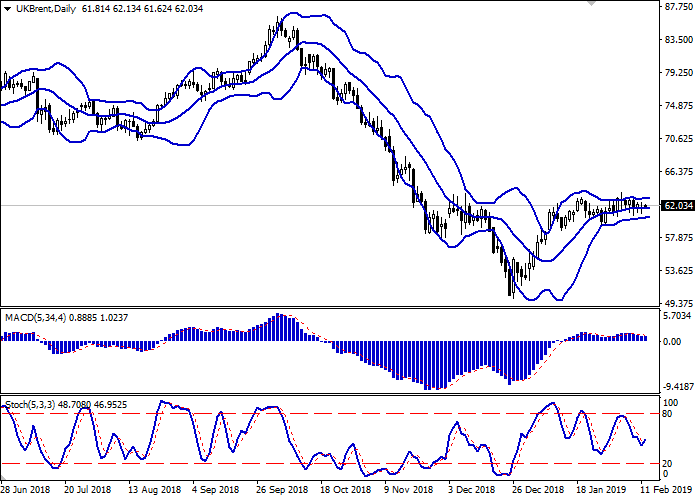 On the daily chart, Bollinger bands move flat. The price range remains narrow and reflects ambiguous market moods. MACD falls, keeping a poor sell signal (the histogram is below the signal line). After a steady decline last week, Stochastic tries to grow, responding to an upward correction at the end of yesterday's session. The readings of technical indicators are ambiguous. It is better to wait until the signals are clear. Resistance levels: 62.40, 63.08, 63.69. Support levels: 61.50, 61.00, 60.50, 60.12. 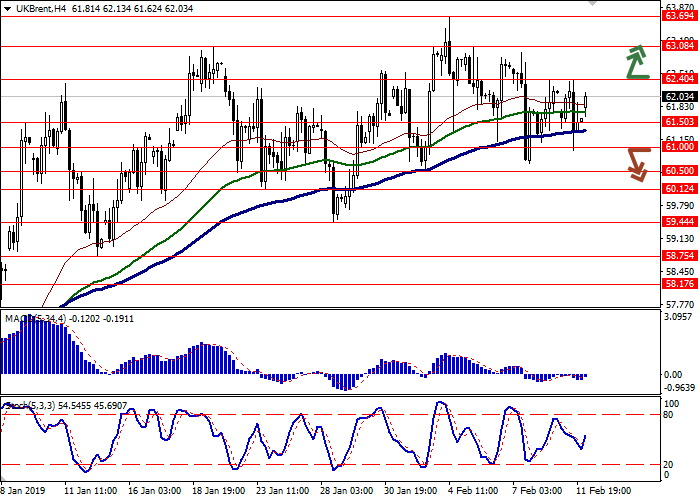 Long positions can be opened after the breakout of 62.40 with the target at 63.69. Stop loss is 62.00 or 61.80. Implementation period: 1–2 days. 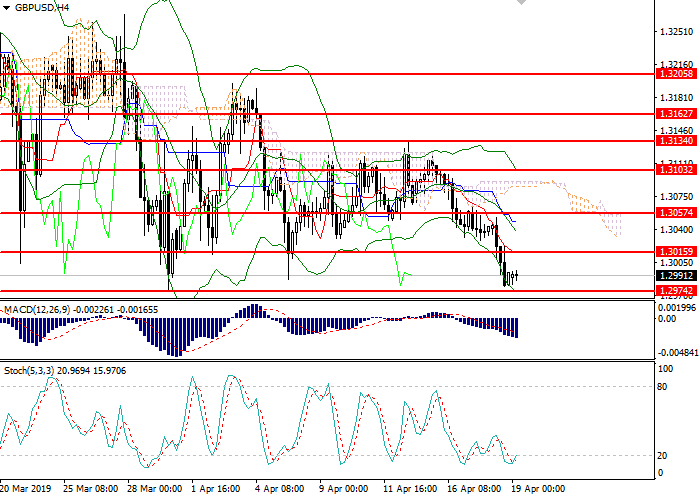 Short positions can be opened after a confident breakdown of 61.00, if the technical indicators form confident “bearish” signals, with the targets at 60.12–60.00. Stop loss is 61.40. Implementation period: 2–3 days.